This is a simple shop system, using some basic logic in conjunction with some enchiridion features. The basic idea is that you have a hidden tab with some logic, that when you kill animals you get 1 gold point, if you kill monsters you get 10 and if you kill a boss mob you get 100. You can see how much gold you have in an enchiridion book. 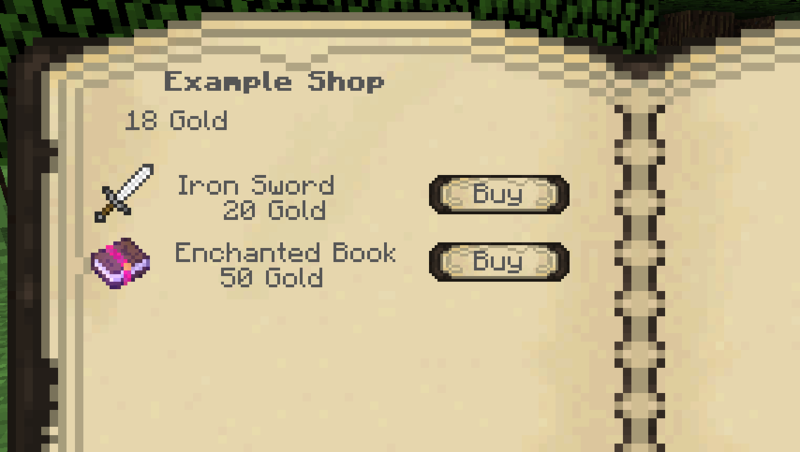 From this book you can then purchase iron swords for 20 gold and enchanted books for 50. If neither of these folders is created yet, you may need to create it yourself. 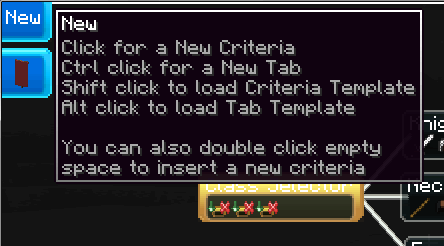 Once in game, you can load criteria or tabs using a similiar method. If you are loading a criteria you will need to shift click the new button while in edit mode which will open up a menu, for you to select your criteria from. To load a tab simply alt click instead. Is there anyway to make somthing like this custom shop prev. vers 0.5? Sorta but not quite as detailed, since you don't have the option to manually claim rewards or enchiridion. You'd just have to get them to do some special task instead. Ok. Thank you for your qick reply. I also would like to know, why the newest versions are for 1.8.9 because the most mods and modpacks are still for 1.7.10? Because I want to move forward not back. Me modding for a version that is two versions out of date, is imo not an effective use of my time. 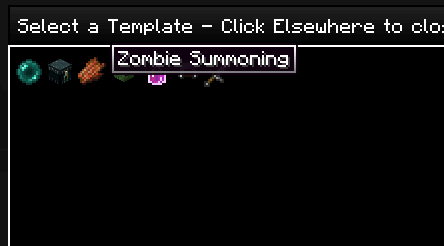 Also the newer version is so different internally because of changes to how items are selected. If I'd released the update on 1.7 too it would break all existing things if they wanted to update, and i don't want to break things across the same minecraft version if i can avoid it.